The filamentosa species of Yucca is native to the eastern coast of the United States, but shares the desert-plant appearance and drought tolerance of its relatives from more arid regions. 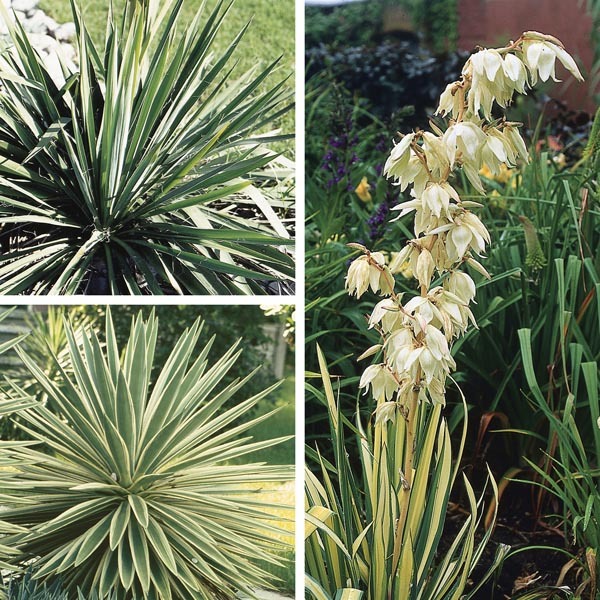 Spiky clumps of upright foliage provide multi-season interest with tall stalks of mid-to-late summer bloom clusters adding to the display. Excellent for use in difficult spots where nothing else can survive. An excellent specimen, foundation, or border plant. Creates a pivotal accent point in any garden.